Norman knew it was going to be one of those days when he woke up and found himself about to pee in his dad’s wardrobe. 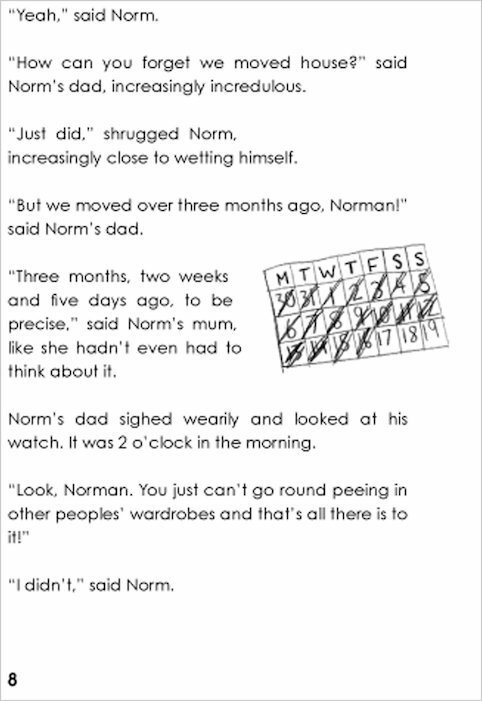 Nothing is ever fair in Norm’s world – and since his family moved house, things are even worse than usual. Why on earth did they have to move, anyway? In their old place, he never tried to pee in anything but a toilet! 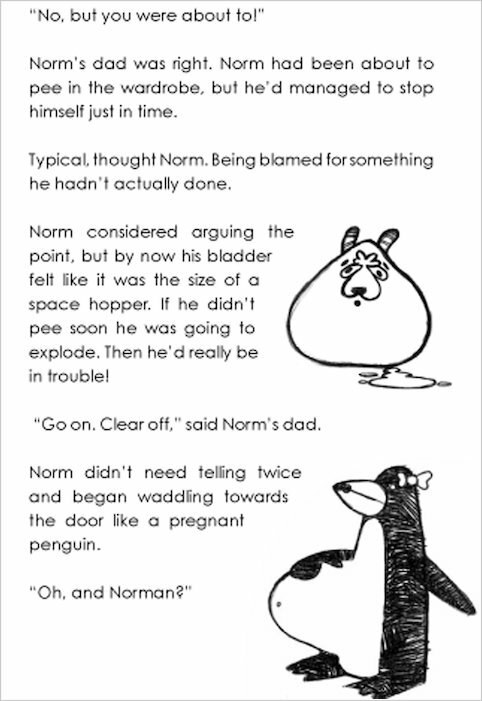 And when Norm is in bed, he’s kept awake by his dad snoring like a constipated rhinoceros. Will he ever get used to their rubbish new house, where you can hear every tiny noise through the flimsy walls? Will he stop being pestered by his annoying little brothers? 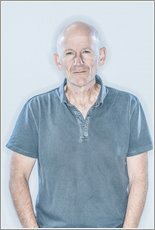 Will life ever get less unfair for Norm? 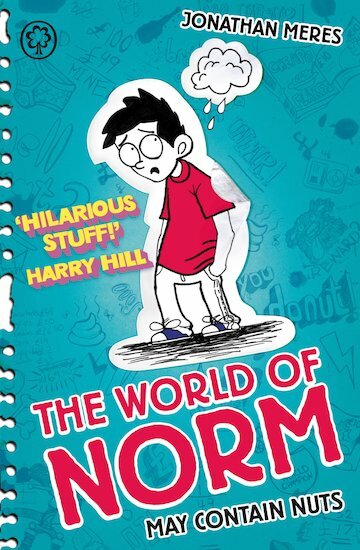 Packed with hilarious cartoons, this is a laugh-out-loud new series for any fan of the Wimpy Kid! this was really funny it was a bit bad at the start but then it got really amazing in the middle and end. I agree with Harry hill this book is hilarious I am going to read the whole series. Really really really good. I loved this book it is funny and interesting it is an easy read. Jonathan Meres is a very humorous author.Definatly would recommend the whole series to other readers. Really like this book. It made me laugh a lot. I have also now read book 2 May Cause Irritation and can’t wait to read book 3 May Cause Gas. I think it was very funny and would recommend it to EVERYBODY! the first chapter is so good I don’t know how good the rest of the book is going to be. I hope many people will read this and forward their review about this great book. This book ROCKS!!!!! 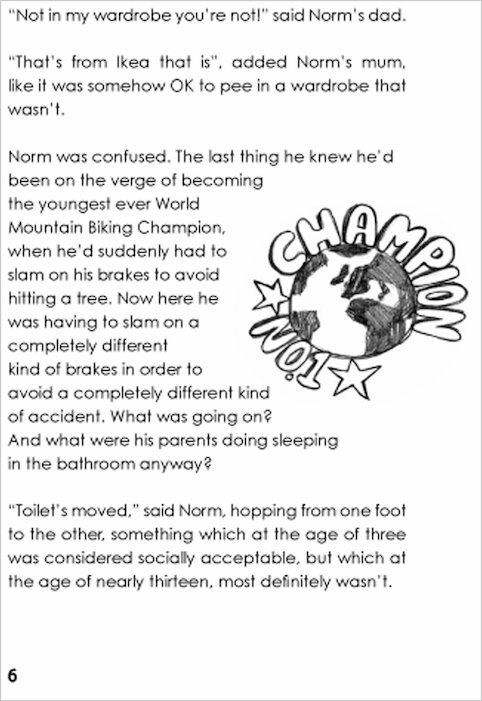 I loved reading the first Norm book, May Contain Nuts. 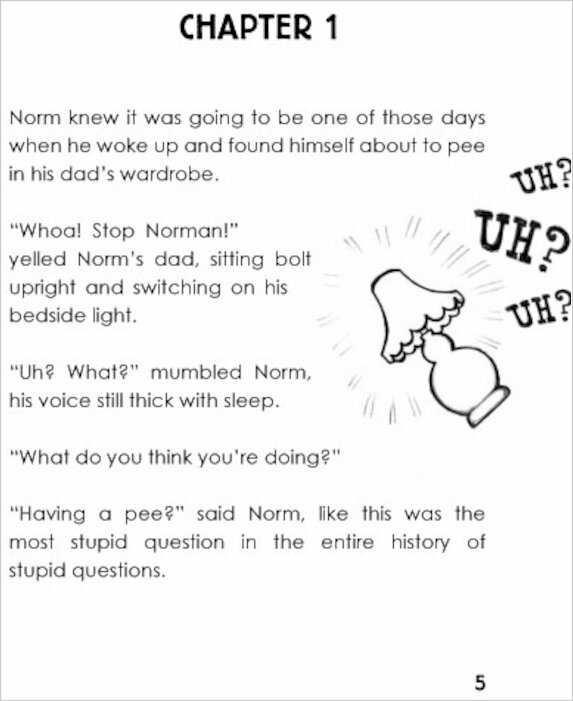 It is really funny when Norm nearly pees in his mum and dad’s wardrobe because he forgot he moved house. Get the book to read more laughs. 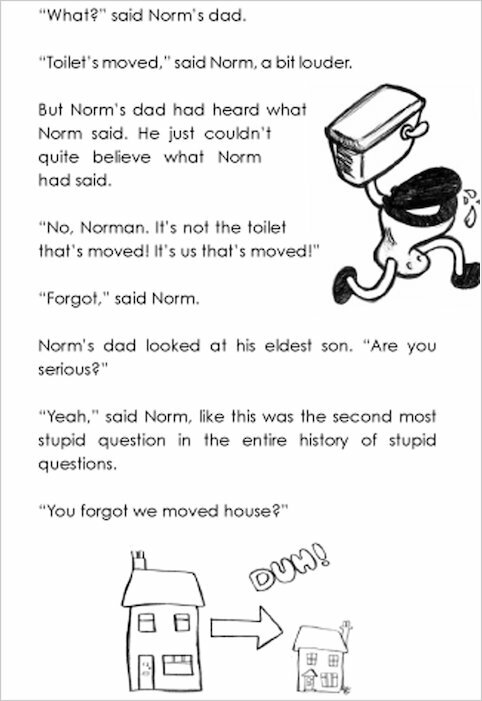 Norm is a good book, not the best but as I said, good. 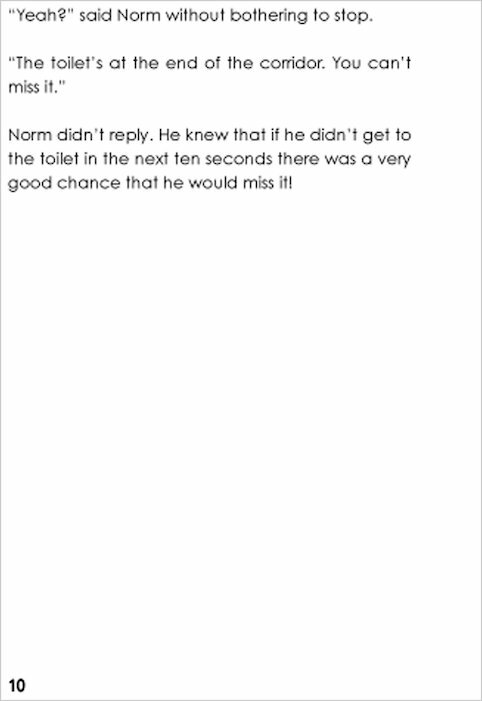 To be honest Norm is totally crazy at the beginning because he says the toilet has disappeared and forgot that they moved house 3 months before! Jonathan Meres has a good writing talent but the book was not that comical in my opinion, but luckily the funny illustrations make up for this. I know this because my brother and sister were laughing like mad when they were looking at the pictures. I rate this book 2.75/5 because it lacks the funniness of Jeremy Strong and Jeff Kinney books, a great debut but just not up there yet!